Stainless steel frame in gloss black finish. Dim. cm. 82 x 100 x h. 90. 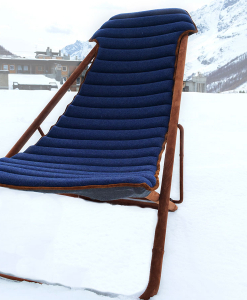 The first outdoor deckchair created with such valuable materials. The frame is of stainless steel, with gloss black finish. 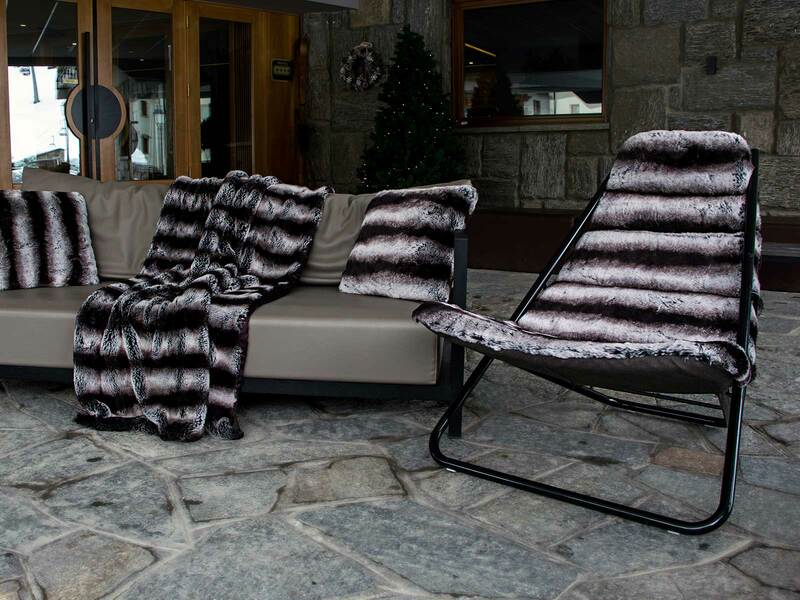 The seat is padded and covered with eco-fur Chinchilla or Grey Fox. 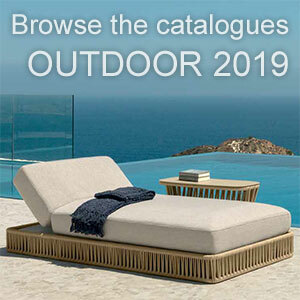 The deckchair in eco-leather, in all its elegance and despite the use of very luxurious materials, is suitable for outdoor use. Its generous size is cm. W 82 x D 100 x H 90. Seat height is cm. 33. 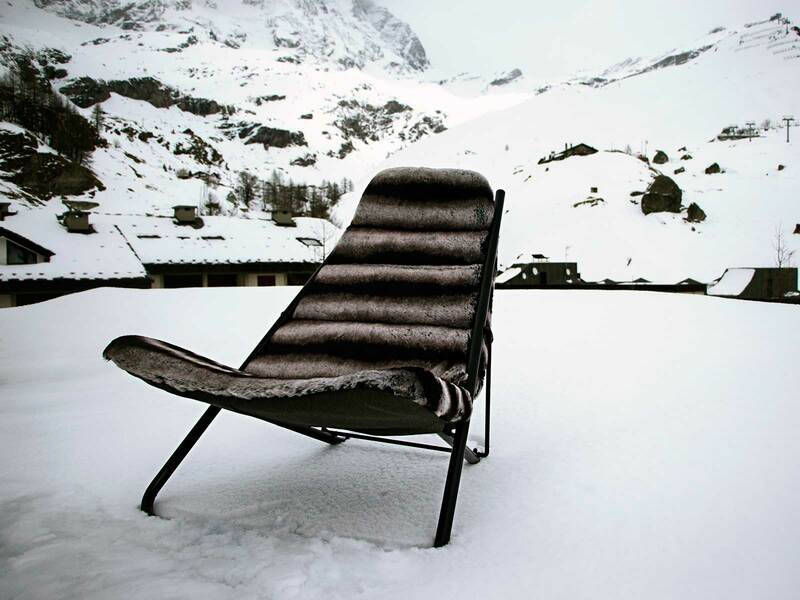 The backrest is tilt-adjustable in three positions up to complete closure.